The 2020 Tokyo-Olympic Games should be smoke-free in restaurant and cafe. policy in all restaurants and cafes in Tokyo. It is considered that all host cities of Olympic Games should provide a healthy public environment. of cigarette. A railway train is also expected to be smokefree, without the smoking vehicle or booth. In 1988, IOC ( International Oympic Comitte ) advised to ban smoking in all Olympic facilities. probably from an economic anxiety. As a result, Tokyo has emerged as the top candidate. of no nationwide-smoking ban in a public indoor place, was buried among shades. not common even at a lobby in a Japanese-style 'ryokan', inn. have abolished a smoking booth in a vehicle. non-smoking rule by air passengers, seven months later, it resumed nine smoking-rooms. Salt Lake City Airport, provide smoking rooms in the terminal. passengers. The signboard displayed as the 'outdoor smoking room' . apart from non-smoking section. He supported to the systems that tobacco companies also claim. a separate smoking section should be different from the space in which non-smokers stay. 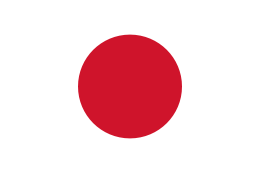 commitment, which Japan ratified WHO Framework Convention on Tobacco Control in 2004. It is well known that it is very difficult to prevent the tobacco-smoke to flow out the smoking room. train compartment, from the adverse effect of gas released from the tip of cigarette. in workplaces and trains. The restricted area will expand to restaurants and bars after June 2014.
indoor space, we can show a warm spirit of Japanese hospitality, 'Omotenashi'. The article was written in October 2013, by Junhaku Miyamoto, M.D., PhD. Is it impossible to create a smoke-free society in Tokyo ? with the booth for smokers. from the present 25% to 50% of the whole construction fee in 2013. An automatic vending machine for cigarette sale in Japan is the most in the world. Smokers, get off sidewalk and go inside. This article was written by Junhaku Miyamoto, M.D.,PhD in October 2013. Japan must move faster on anti-smoking law.